Are we Heaping our Plates too High at the Information Buffet? The current zeitgeist is one of information overload, as highlighted in a recent article, Content Rivers and Information Gluttony. The availability of information is not the problem, however. We’ve been in overload at least since 1970, as described by futurist Alvin Toffler . Our inability to limit our choices is what gets us into trouble. We heap our plate until it’s overfull; it gives us a pain in our tummy. It’s hard to go on a diet however. 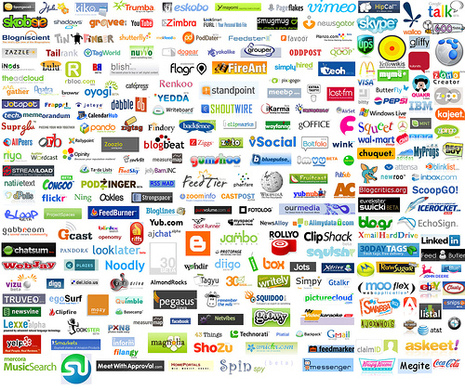 And this is why most of us are grappling with the issue of “information overload”. Clay Shirky argues in his talk “It’s Not Information Overload. It’s Filter Failure” that we’re to blame because we’re indiscriminately eating everything in sight. We need to filter for quality. So how do we make smart choices? If you feel you must eat everything on the buffet to get your money’s worth, you’re not going to enjoy your meal. Similarly, if you feel you must read every tweet, RSS feed, Facebook post and Tumblr update you’re going to feel stuffed beyond capacity. How do we pick out the most choice morsels? How do we set limits so we stay within the means of our available resources? This drive, however, has a tendency to extend. Soon, we start consuming content because it might help us reach a potential goal. Our scope widens out of proportion. That’s also why we hop from entry to entry on Wikipedia and catch ourselves only four hours later. 1. Use lists/folders to organize incoming information into categorical groupings. 2. Limit hours we access email; calendar this time. 3. Limit hours we access Facebook, Twitter, etc. ; calendar this time. 4. Limit meeting frequency and duration; use an agenda. 5. Use content curation skills. Beth Kanter has some great tips on her blog (and also in a great wiki ) to select just what you need, leaving the rest on the table.Curation and the Future of Publishing has curated posts/articles on the subject. 6. Be aware of signs of time/attention overload (e.g., inability to focus; poor prioritization; working constantly, but not feeling you’re getting much done). 7. Make a commitment to consume information consciously ; not mindlessly. ny one human could absorb. It’s not the total amount of information, but your information habit that is pushing you to whatever extreme you find uncomfortable. Less is more. We know this as it relates to our food diet. We don’t quite understand this when it comes to our information diet. Somehow we still think more is more, and that we’ll get shiny gold stars on our foreheads if we ‘clean our plates’, consuming everything that current technology makes possible. What strategies have you found to limit your intake of information to only what is essential? 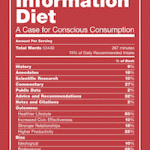 Is there an ‘information diet’ that works for you?